Oh my sweet girlfriend got me some awesome chocolate for Valentine’s Day and I just HAVE to share it with the community here. 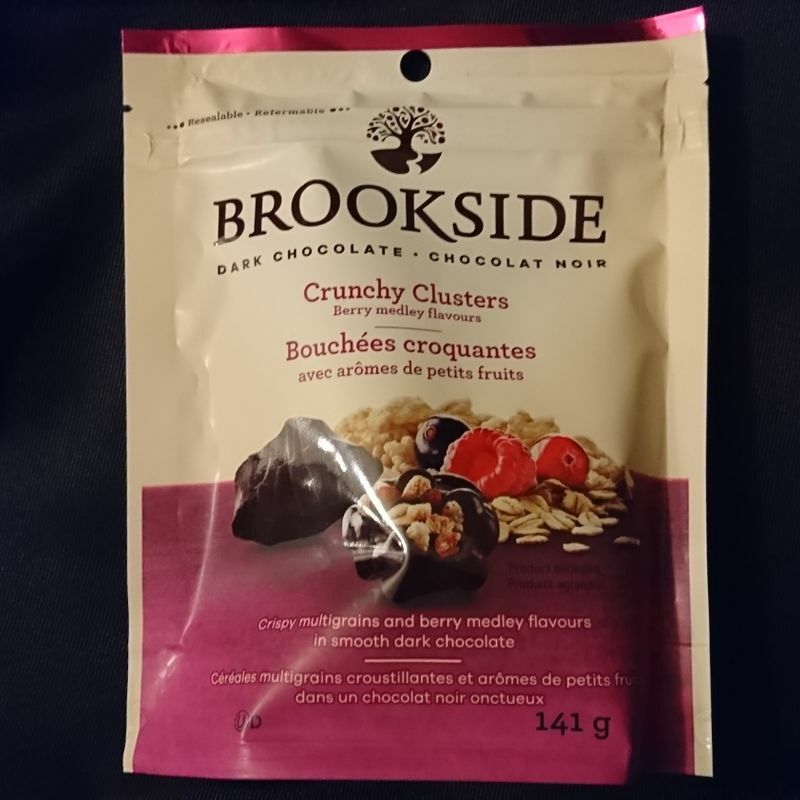 Of the two items, one was this Brooklyn berry crunch dark chocolate. I was very surprised as I had never seen that before. More importantly, that was right up my alley as a fan of chocolate, berries and anything crunchy. The bag was also 141g, and it will satisfy me for a good while! I couldn't wait and opened it immediately. The texture was very much out of this world. Getting the order of hard chocolate, a squishy berry and some crunchy granola was very fulfilling. The dark chocolate made the berries stand out more. The other gift she got me was this box of mint chocolate thins. 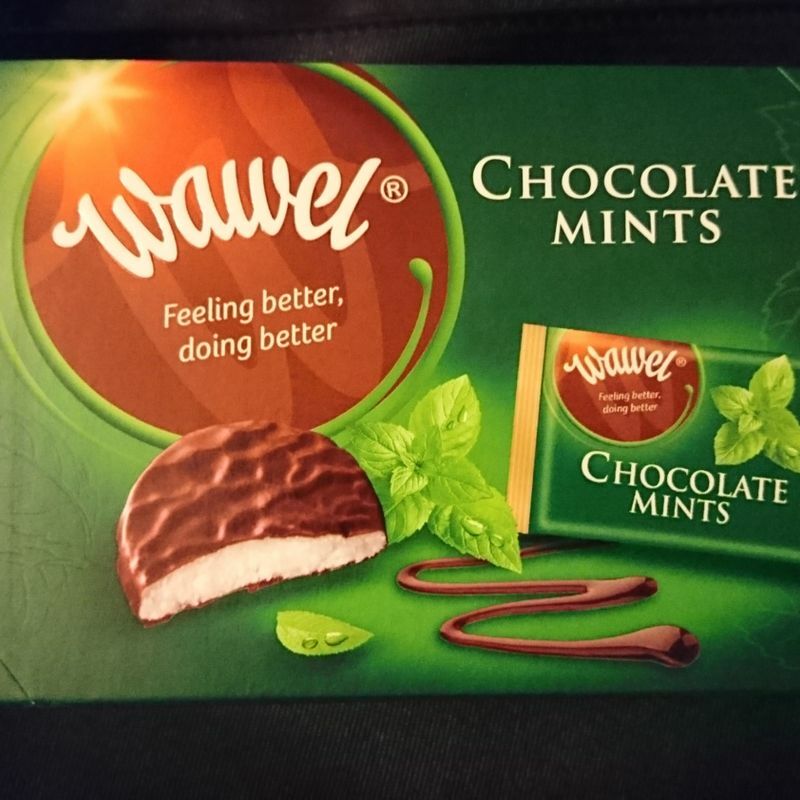 She knows that I like the combination of chocolate and mint, but more importantly, she proudly showed me the 20% discount sticker on the box because she knows that I would be happy to know that she saved money on it. This one was more on the sweet side, so I enjoyed them with a glass of milk on the side. I really appreciated that attitude. In Japan, many girls spend crazy money or time just to find or make some elaborate chocolate for Valentine’s Day, but I have always believed that as long as thoughts were put into the gift, it is a great gift. 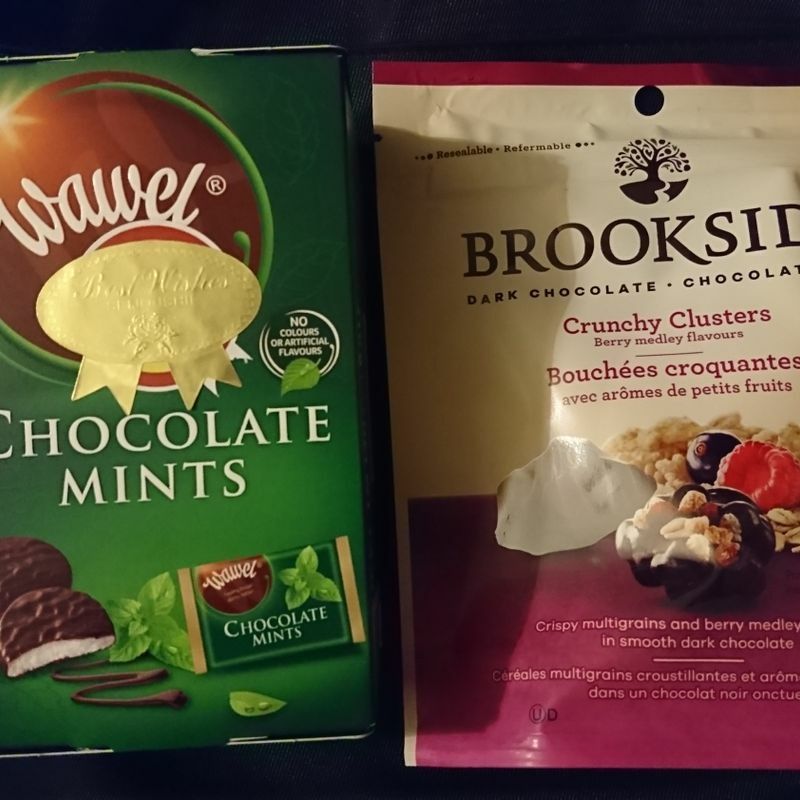 So, knowing how I don’t mind buying discounted goods, or rather, I prefer them, she found another reason why I would like these mint chocolate thins, and she was very right. I gave them a try too. The minty cream was quite sweet, and the chocolate balances it out perfectly. 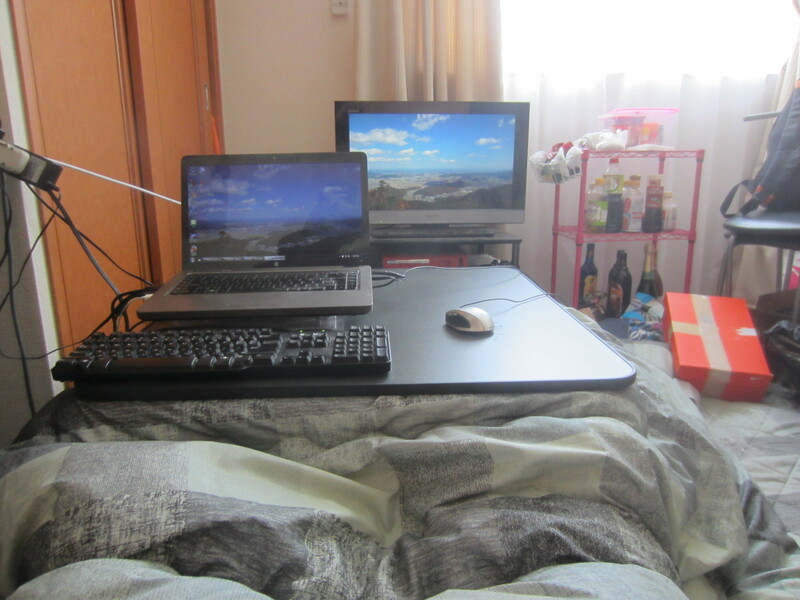 It is difficult to say which I like more since they are so different, so I am very glad that she bought me both! I should add that she got them from Seijo Ishi, a great place for imported chocolate!! March is Scary for ALTs!